So it turns out I don’t know the country I live in. On the 23rd of June I thought that I lived in a moderate democracy where people benefitted from their ability to read and hear fact-based and impartial information afforded to us by to our right to free speech and relatively educated population. On the 24th June it became clear that what I thought I knew was a lie. David Cameron has resigned and he is being blamed for the referendum outcome, and the fact it was called in the first place. This is understandable, but he is being blamed for the wrong thing. David Cameron’s only mistake was to underestimate the ability and appetite of the majority of the British public to understand, digest and apply factual knowledge and to do the right thing. The Remain campaign was striking in its lack of passion but the reason for that was utter disbelief that any reasonable person could fail to understand the catastrophic consequences of leaving the EU and listen to the untested assumptions put forward by the Leave campaign. Cameron’s mistake became terrifyingly clear when Sunderland declared its referendum results. 66% of a ward which has benefitted from vast amounts of economic investment from the EU to create new jobs, and where tens of thousands of jobs and supply chain jobs depend on the existence of large manufacturers who have been attracted there by such funding and ability to trade into Europe, voted to leave the EU. How could this possibly happen? And then continue to happen across huge swathes of England and Wales? I have been trying to work out the answer to that question ever since. I think I know the answer now, and it is not David Cameron’s fault. Tony Blair and Gordon Brown’s New Labour government created this dangerous state of affairs and we are all reaping the benefits. Between them, ably assisted by Alistair Campbell, they eroded standards, personal accountability and aspiration in this country to such an extent that people now believe they are automatically owed a living and that they have no personal or civic responsibility for their actions or the consequences of those actions. Information, if needed, must only be presented by celebrities (step forward Boris). There is no need for this information to be true as long as it is an easy argument to follow. 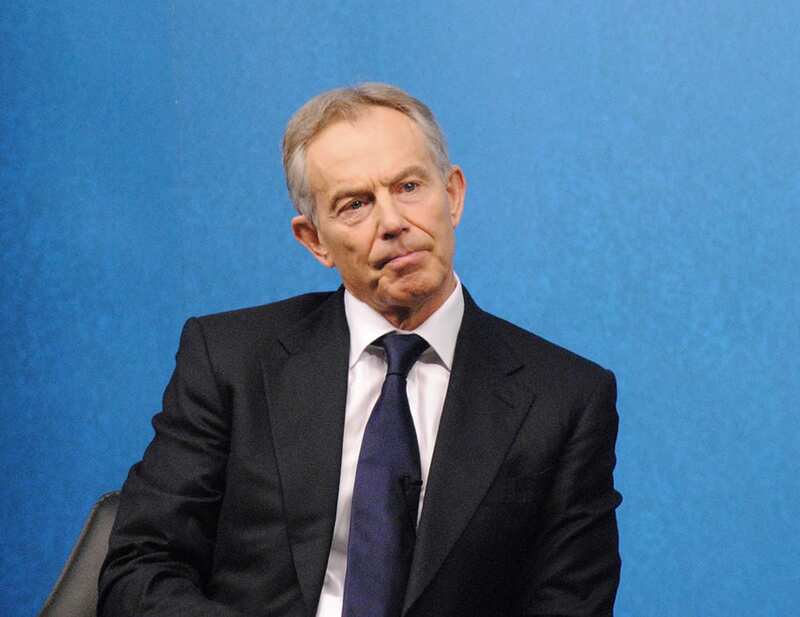 During the 2000s, Tony and Gordon eroded the concept of meritocracy and attainment. They threw money and opportunities at us, regardless of whether we deserved them. They told us that everyone should go to university and universities duly obliged by lowering entry standards and marking criteria to make that happen. The banks happily underwrote this by selling huge amounts of credit to us, because we deserved it. We believed the banks when they told us we could afford it and when we couldn’t afford it we just used our credit cards instead when we were getting our rounds in at the bars. Gordon applied the same logic to our country’s public spending. Meanwhile, in the background, Tony and Alistair were quietly eroding standards and principles of truth and integrity in the media and inviting our journalists and zeitgeist celebrities to drinks parties to buy their complicity in the fallacy they were selling us. Then the credit crunch happened and the party was over. We had to pay back the money we owed but because our university and A-level courses were easy enough to make sure we could all go to university and take out credit cards and overdrafts we were too stupid to understand that David Cameron was cutting spending to pay back what Tony and Gordon owed. The media told us that the reason jobs were scarce and we didn’t have any money was because of immigrants coming here and taking the jobs that we shouldn’t have to work for, and we believed them because the papers said it so it was obviously true. So when the chance came to show David Cameron what we thought of all this we took it, because voting to leave the EU would really show him. With notable but sadly infrequent exceptions, our country is now characterised by insipid, mediocre sporting performances, academic performances and an overriding sense of entitlement to anything we can get our hands on by expending the least effort. For those who have eschewed even the lacklustre spoon-fed educational curriculum they receive by right the only choices are reality celebritydom or benefits. David Cameron’s government has had the audacity to attempt to limit benefits to those who need them, so the simple solution is clearly to stick it to the establishment by voting to break up the union who has partially funded well-meant employment schemes and economic investment intended to benefit them. Tony and Gordon’s state-funded mediocrity caused the referendum result, not David Cameron. We aren’t equipped to understand the irony of exercising our democratic right to vote and then complaining that the government shouldn’t have held a referendum at all when we don’t like the result, not understanding that offering the referendum was a manifesto attempt to stop UKIP’s influence from growing. But the papers tell us it’s David’s fault and that is the easy answer, so it must be true. Next PostTime for a Republic of London? Perhaps you have a short term memory. If it’s not David Cameron threaten to leave EU with a EU referendum, because of HIS DEMANDS are not met at Brussels, the EU referendum would’ve have happened in the first place! Your article infers that the young people of the UK believe anything they were told in the referendum campaign and therefore voted for Brexit. However, the statistics of the voting show that the vast majority of young voters cast their vote to remain in the EU and it was the older voters (who presumably can see through the misinformation) who voted to leave.